The Apex Legends player count is proving pretty impressive, with more than ten million people having dropped into King’s Canyon since its release last week. But it’s not just the battle royale that’s benefitting from the spike in interest, as Titanfall 2’s player numbers seem to be on the rise as well. A post on the game’s subreddit says that as of yesterday evening, more than 10,000 people were playing the 2016 FPS on Xbox. According to that post, that’s higher than its managed on the platform since 2017. Those numbers are likely helped along by a pretty hefty discount at the moment, but it’s still nice to see a new lease of life on the console. On PC, the numbers aren’t quite as healthy, but there’s still been a significant uptick. One Reddit user has been regularly recording the game’s concurrent player count, which has risen from 1,295 on December 20, 2018 to more than 3,400 by yesterday afternoon, with numbers increasing by several hundred players every day. Titanfall 2 is widely praised throughout the PCGN office, but the game’s release was marred by an unfortunate release window. Battlefield 1, also published by EA, released just a week before Respawn’s shooter, while Call of Duty: Infinite Warfare came out around a week later. 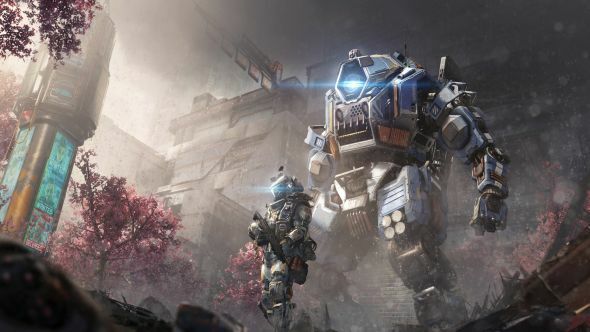 With two FPS juggernauts flanking it, it’s no surprise that Titanfall 2 struggled, but EA repeatedly suggested it hadn’t lost faith in the franchise. That faith seems to have paid off with Apex Legends, of course, but the added interest in the rest of the franchise bodes pretty well for its future. So well, infact, that Respawn says it’s working on “more Titanfall,” with a new entry set to release this year. I may be pretty terrible at Apex Legends, but even I can recognise that the game’s movement is the best the battle royale genre has offered so far. Sliding down a muddy hill before leaping up to take potshots at someone is endlessly satisfying, even if it quickly results in my death. If Titanfall offers a more fleshed-out version of that experience, then maybe it’s time I finally checked it out as well.